If you have been charged with drink driving, you are certainly not alone. 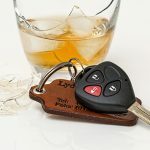 Drink driving, also known as ‘P.C.A.’, is the most common offence in NSW Local Courts, accounting for 20% of all cases. And it may surprise you that over half of those who are guilty of low-range drink driving end up with criminal records. Low range drink driving is where a driver has a blood alcohol concentration (B.A.C.) of between 0.05 and 0.079. That level of B.A.C. is legal in some parts of the world, including the UK and some of the United States. This has prompted calls by some to raise the legal limit for experienced drivers to 0.08, saying that the focus should be on inexperienced drivers who are the most likely to cause collisions. But those calls are likely to fall on deaf ears. 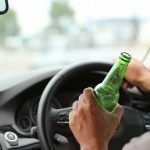 Australia has taken a tough stance on drink driving; and perhaps justifiably so, with so many fatalities resulting from drivers who are above the legal limit. When it comes to the law, drink driving isn’t the same thing as getting a parking ticket or a speeding fine. Drink driving is a criminal offence, which means that you will get a criminal record if you are convicted. As well as coming with a criminal record, being convicted of drink driving means that you will be disqualified from driving and could even face prison in certain circumstances. However, not all of those who are charged with drink driving end up with criminal records. For you to be found guilty, police must prove beyond reasonable doubt that your B.A.C. at the time of driving was above the prescribed limit. You might think that the roadside breath test is proof that you were over the limit when you drove, but it is not. In fact, the roadside test is not admissible as evidence against you. Only the breath analysis at the police station or the “booze bus” is admissible in court. That analysis will often occur 40 minutes or even an hour after you last drove. Now consider this: your B.A.C. can rise for an hour or more after your last drink. So if you drank just before you drove, and you were pulled over a short time thereafter, your B.A.C. when you actually drove may be a lot less than when your breath was later analysed at the police station. If this might apply to your case, a good lawyer will be able to arrange for a pharmacological report to estimate your likely B.A.C. at the time of driving. If that report is helpful, your lawyer can ask for the charge to be downgraded (eg from high range to low range drink driving) or even dropped altogether. 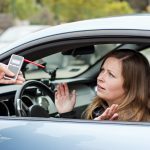 If police refuse to drop the case and it goes all the way to a defended hearing, an experienced traffic lawyer may be able to have the case thrown out of court. Alternatively, there are several legal defences to drink driving that can result in your case being dropped or thrown out of court. Those defences include the “2 hour rule”, the “home safely rule” and where you made an “honest and reasonable mistake of fact”. We outline those defences on our website page. 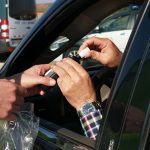 Even if you wish to plead guilty to drink driving, you may be able to avoid a criminal conviction by persuading the magistrate to grant you a “section 10 dismissal or conditional release order”. Section 10 dismissals or conditional release orders of the Crimes (Sentencing Procedure) Act 1999 allows a magistrate to dismiss a case altogether or place a person on a good behaviour bond without a criminal record even if they plead guilty. 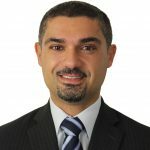 There are several steps that you can take to maximise your chances of getting a non conviction order, including getting up to 3 character references, participating in a Traffic Offender Program and writing an apology letter to the court. There are guides on our website page about how to do all of those things. Non conviction orders are available for all drink-driving offences; although of course, the less serious the offence, the more likely the court will award you one, especially if it’s your first offence. If you receive a non conviction order, it also means that you will avoid a fine and licence disqualification. But with the availability of a non conviction order, why do so many people still get criminal records? Roughly 6 out of 10 low-range drink-drivers receive criminal convictions. As with many things in life, taking the situation seriously and making the right moves can make all the difference to the end result. Simply turning up to court and putting your hand up is unlikely to impress the magistrate. The better option is to prepare thoroughly and to seek legal advice – even if you can’t afford a lawyer or if you otherwise wish to represent yourself. Why should I get legal advice? For many, a drink driving charge may be their first brush with the law. Some believe that if they just attend court and plead guilty, everything will be ok. But this isn’t always the case – in fact, it isn’t usually the case. Drink driving is treated seriously by the courts, and if you wish to plead guilty it is still important to demonstrate to the magistrate that you have accepted responsibility, learnt from your mistake, taken steps to make amends and are unlikely to reoffend. A good traffic lawyer will be able to help you prepare for your case and will present it persuasively before the court – giving you the best chance of a positive outcome. An experienced lawyer may even come to the view that your case can be won due to an inaccurate reading or a legal defence that you may have. In that case, they may be able to have the case against you dropped or thrown out of court. A drink driving lawyer who regularly appears in court will be able to advise you of your options and the best way forward. And many good lawyers offer a free first consultation, so it may be worth your investment in time to give them a call and arrange a conference.